Thomas Hardy’s novels are set in the fictitious landscape, Wessex. He named the area Wessex after the medieval Anglo-Saxon kingdom that existed in the southern region of England prior to the Norman conquest. All of the locations in Hardy’s Wessex are based on real locations in the south and southwestern region of England. Although many of the locations in his novels are given fictitious names, they are very close to the names of the real locations. For example, Marlott in Hardy’s novel, Tess of the d’Urbervilles, is based on Marnhull, a small village in the county of Dorset. On the surface, it appears that Hardy had long planned to base all of his novels in Wessex, but his creation of Wessex took several years to develop. Wessex first appeared in his novel, Far from the Madding Crowd in chapter 50 of the serialized version. Hardy had already published by this time three novels based in the southern region of England without referencing Wessex. Due to the positive responses Wessex received from readers, Hardy continued using the fictional area in his next novels. In his sixth novel, The Return of the Native, he began to divide Wessex into different regions. He set The Return of the Native in South Wessex and Tess of the d’Urbervilles in Upper and Mid-Wessex. 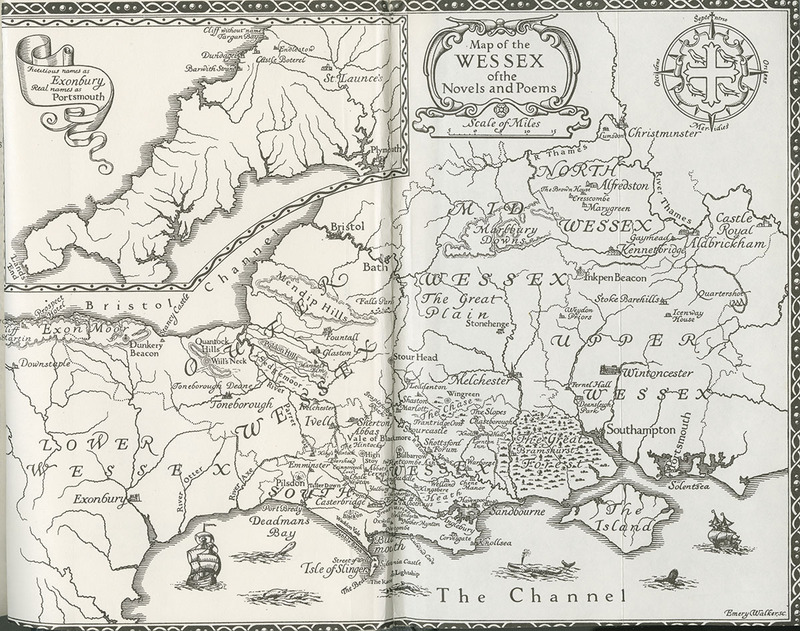 When it came time for Hardy to revise his earlier works for new editions, he included the fictional towns and regions of Wessex in his revisions. He entitled his revised editions as The Wessex Novels. For this reason, when we read Hardy’s novels today, we get a fully-realized picture of Wessex. Writing what he knew best, Hardy wrote about the county of Dorset, his hometown, where Wessex is predominately based. Throughout much of the 19th century, the county of Dorset was one of the poorest and least populated counties. Writing from the working class perspective, Hardy depicted the country life of Dorset, its customs, people, and rural landscape. Intriguing and fascinating to the outside world, Hardy found a way to create a brand for his writings and reveal insight into an area that was hardly known by Victorian England at the time.